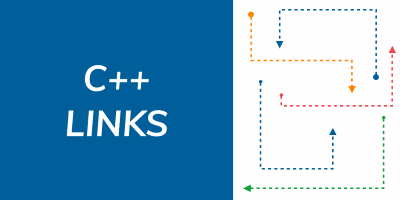 Bartek's coding blog: C++ Links #24 -static vs dynamic libraries, ADL & BooSTL! C++ Links #24 -static vs dynamic libraries, ADL & BooSTL! 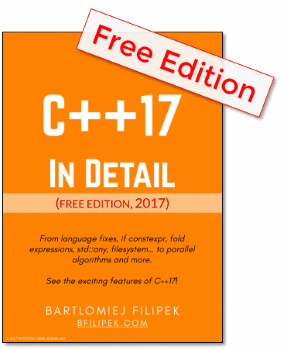 Welcome to new C++ Links - most important and useful articles, podcasts and videos that happen between 23th and 29th of March 2019. This week you will find links to a detailed comparison of using static vs dynamic libraries, how we can discover code smell using static analyser and many more! Arthur O’Dwyer explains what design choices library implementers have. In example Arthur is showing std::function implementation. Should it be shareable? Should we allow movable only objects? And more. Wojtek is a Senior C++ developer at Thaumatec, currently writing software for a face & iris recognition device. He enjoys reading C++ Standard before bed, and he loves to hate JS from dawn to dusk.